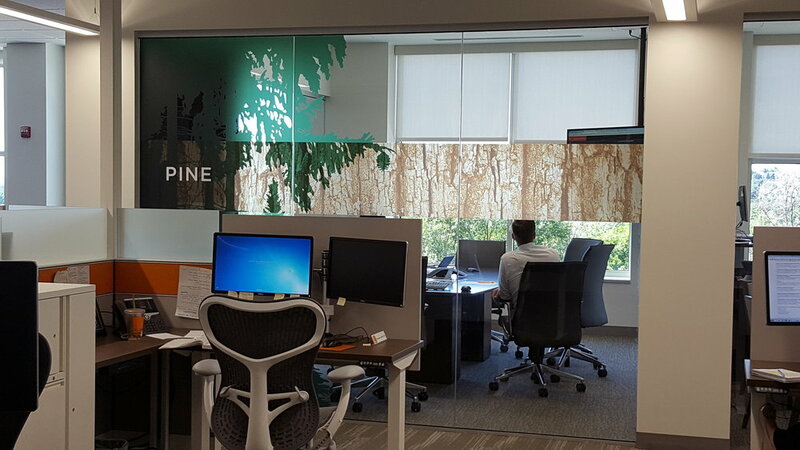 In 2016, FirstBank expanded its Lakewood headquarters by adding a 127,000 square-foot modern glass building to its existing 100,000 square-foot brick building. 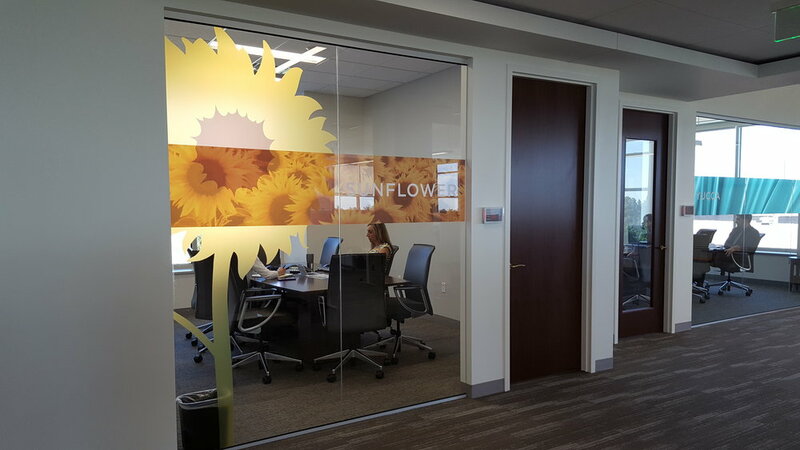 Employee amenities were a major part of the new four-story addition, offering employees a roof top patio, fitness center with free exercise classes, game room, cafe, panoramic views of downtown Denver to the mountains, and more. 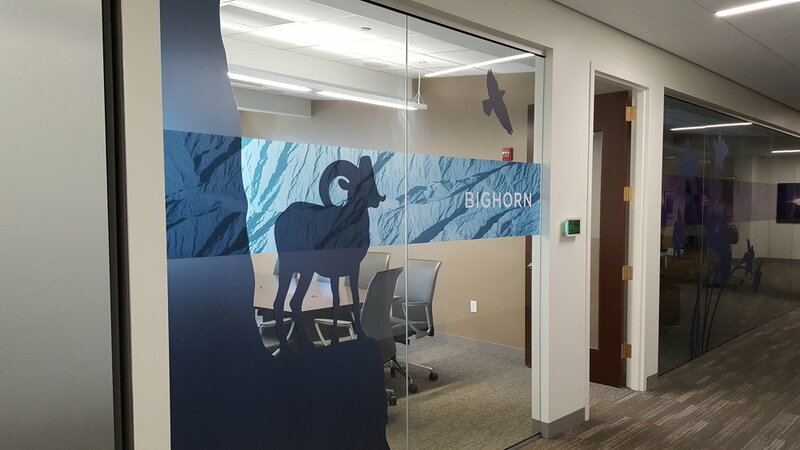 To activate their conference room spaces, FirstBank hired Tangram Design and C2 Imaging to name their new conference rooms and to design and install graphics that identify the rooms. 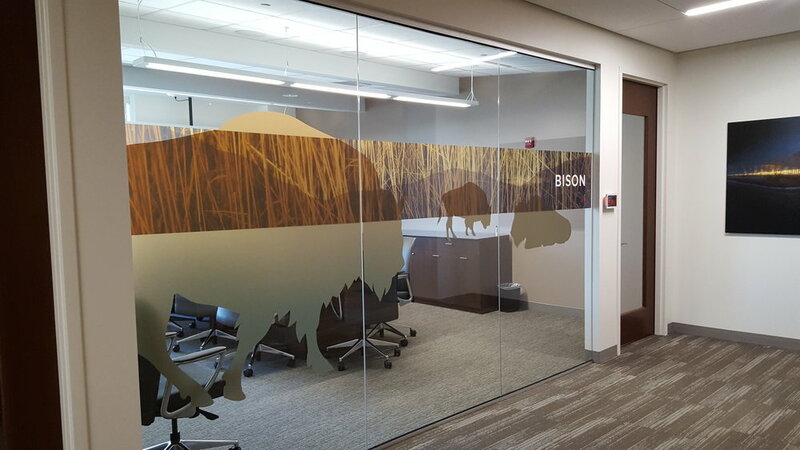 Conference room names and graphics were created for the first, second, and third floor of the new and existing building, a total of 34 conference rooms. FirstBank has over 120 locations in Colorado, Arizona, and California. Each floor is themed to represent places (1st floor), flora and fauna (2nd floor), and activities (3rd floor) from these three states. Examples of names from each floor include, 1st Floor: Hanging Lake, Phoenix, Palm Springs, 2nd Floor: Columbine, Wolf, Otter, 3rd Floor: Climb, Cycle, Soar. Adding splashes of color to the neutral interior design color palette, the conference room designs energize these spaces and provide a unique and engaging environment for FirstBank employees.